Sweet Greetings, Inc. - Personalized Yard Signs for New Babies, Birthdays and More! 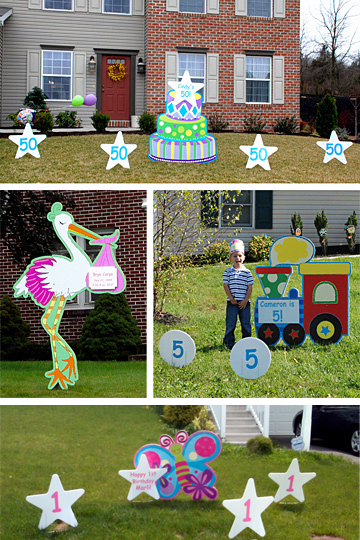 A personalized lawn sign rental businesses a fun, unique way to help people celebrate the wonderful events in their life - A new baby, birthday, wedding, graduation or other occasion. It is a creative complement or alternative to sending flowers or finding a gift. Storks & so much more! We offer a wide variety of over 40 styles of fun, whimsical lawn greetings for purchase that are sure to make your customers smile! Personalized candy bars, sibling stars and more are also available! 40+ sign styles for all occasions!